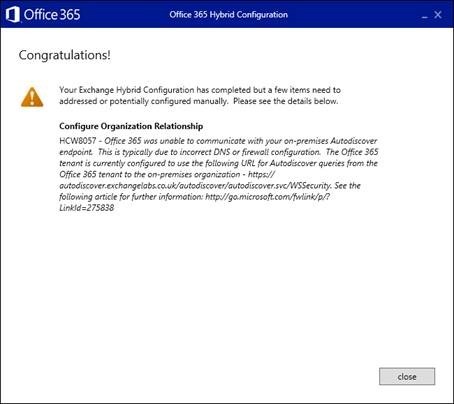 After making pre-requisite changes performing tests it should be safe to perform the Hybrid Configuration. 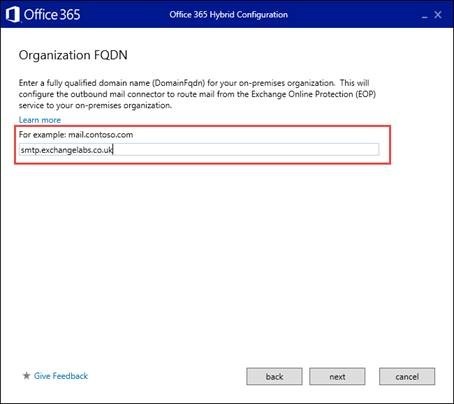 One feature configured by the Hybrid Configuration Wizard requires DNS records to be added during the Wizard. 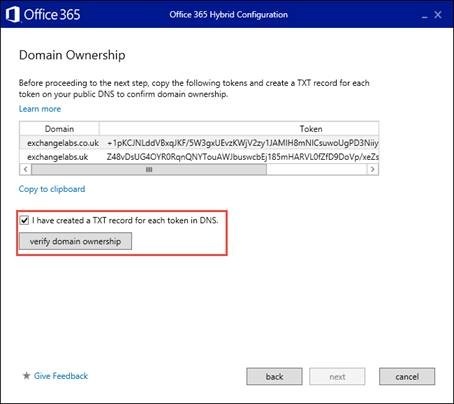 Many organizations prefer to add the DNS Text records before running the Hybrid configuration wizard so that the wizard will complete without warnings. 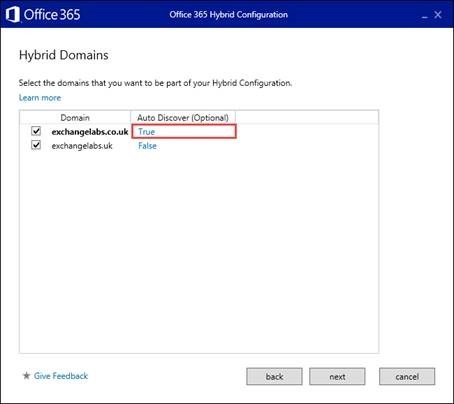 To identify the DNS Text records required the Federation Trust can be enabled prior to executing the Hybrid Configuration wizard with little to no risk. 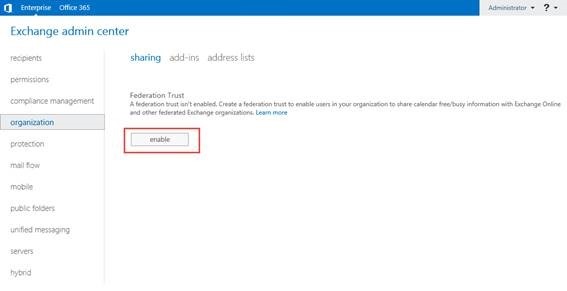 After enabling the Federated Trust, an Exchange Management Shell cmdlet can be executed to retrieve the correct DNS record. 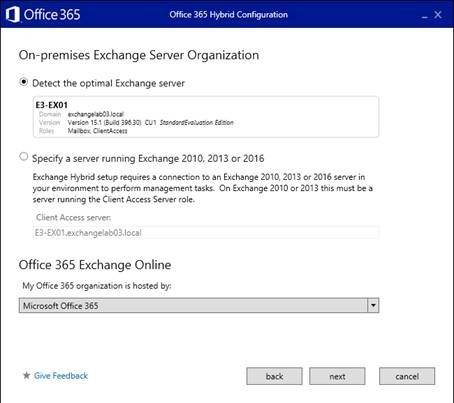 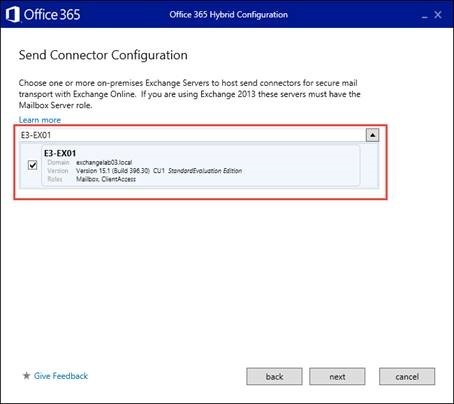 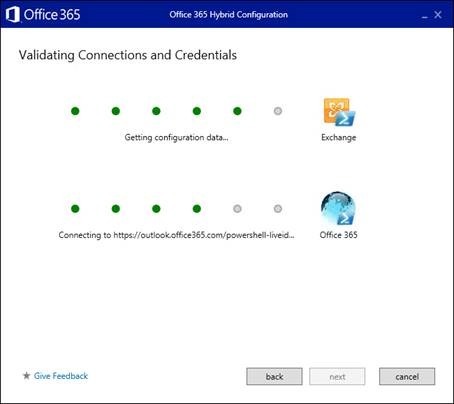 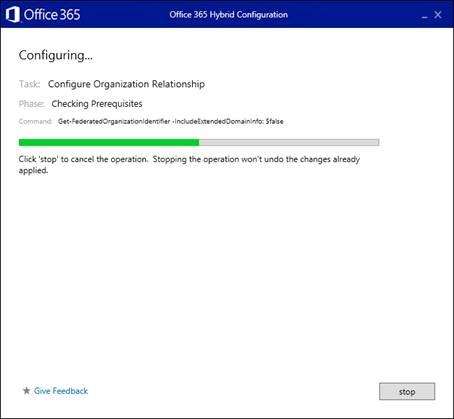 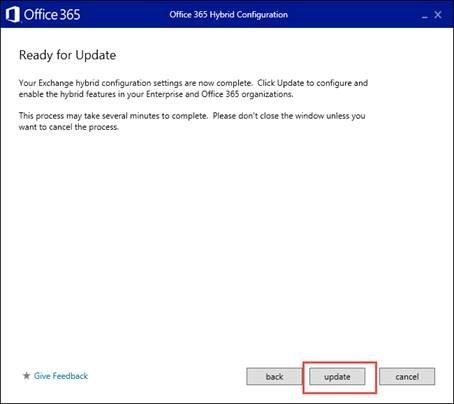 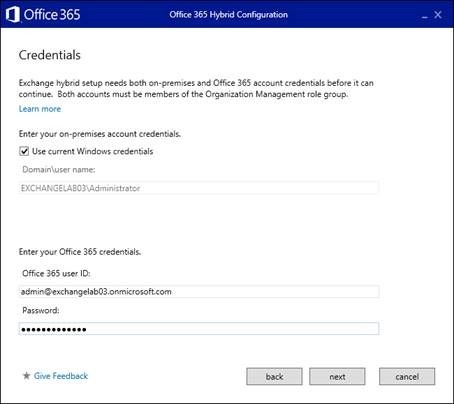 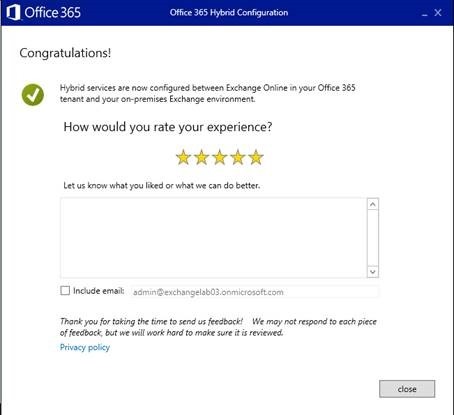 The installation for the Office 365 Hybrid Configuration wizard will begin. 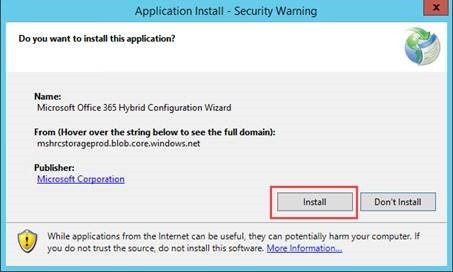 The wizard downloads data it needs as part of the installation from a Microsoft domain under windows.net. 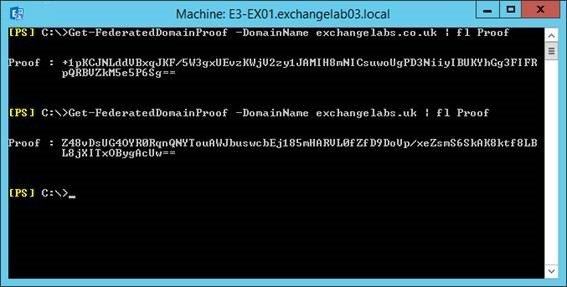 Next, we’ll select the domains to use for our Exchange Hybrid configuration. 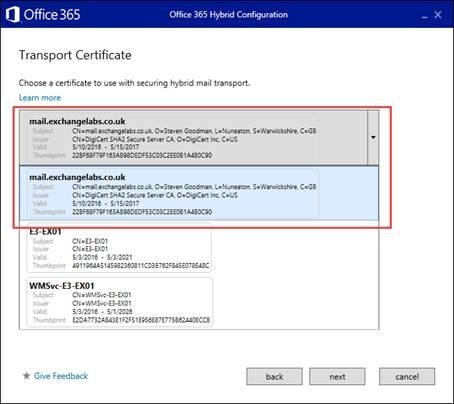 These are typically the domains you use for SMTP mail flow and in particular should include addresses uses as primary SMTP addresses. 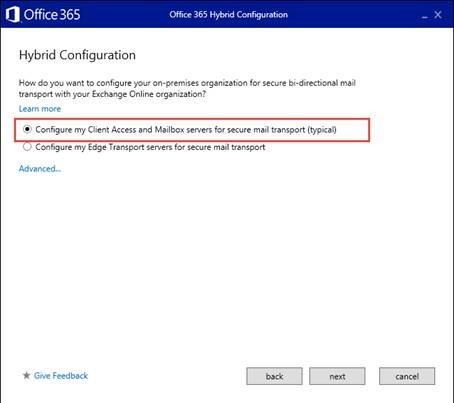 By selecting the correct domains here, you ensure that mail flow to these domains will always flow back to on-premises using the correct connector, and Free/Busy and Sharing will work correctly in both directions.